Almost everyone complain about pain- from office workers to car drivers to house cleaners, house painters, plasterers, hairdressers, restoration painters to athletes, surgeons, salesmen to school teachers. The human body is not pain proof no matter what measures you take. Many people go for manipulative therapy, traction, electro neurostimulation, physical therapy and gymnastics. These are for sure recommended but there is another way too. The market is also full of pain soothing creams, gels and balms in India to help relief pain instantly. Ranbaxy Volini is one of the best and most trusted pain relief gels in India. The quick absorbing nano formula of the gel heals low back pain, joint pain, muscular pain, sprain, back pain, ankle sprain, soft tissue disorders, osteoarthritis knee, arthritis, shoulder lesions, thumb, knee, shoulder stiffness etc. 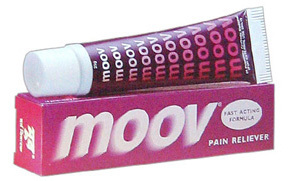 Moov Pain Relief Cream is one of the most preferred choices in India, especially among the ladies. It takes care of back pain, strains, sprains, fatigue and stress. The goodness of powerful Nilgiri Oil penetrates deep inside to help your recover fast. 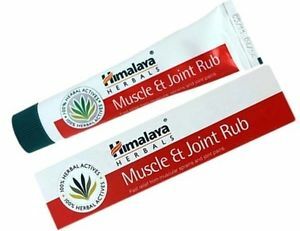 Himalaya Herbals Muscle and Joint Rub Pain Relief is another most popular pain relief cream available in India. It works quite instantly on backaches, muscular sprains and joint pain. The anti-inflammatory properties of basil help reduce inflammation and alleviate joint swelling. Himani Fast Relief Ayurvedic Pain Relief Ointment treats arthritis, muscular pain, backache, joint pain and sprains. This famous instant pain relief ointment is enriched with the goodness of special herbs such as Nilgiri oil, Lavang and Gaultheria that takes care of your pain more swiftly. 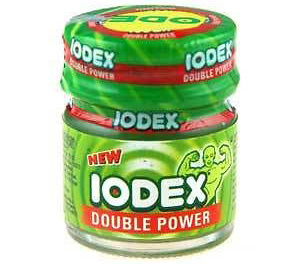 Iodex Fast Relief Multi Purpose Pain Balm is 100% natural and ayurvedic. This popular pain relief balm takes care of sprain, back, neck, joint pains and headache instantly. This leading brand infuses effective pain fighting ingredients to give quick relief to the aching muscles. Omni Pain Relief Gel is another most popular pain relief cream available in India. It mainly takes care of pain related issues such as Rheumatoid arthritis, osteoarthritis, tendinitis, tenosynovitis, bursitis, periarthritis, sprains and low back pain. Relieve pain from rheumatoid arthritis, osteoarthritis etc. 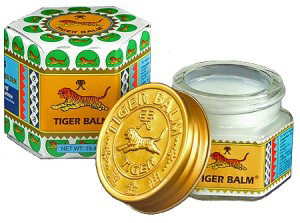 Tiger Balm is another leading analgesic remedy in India. It incorporates a unique formulation with herbal ingredients relieves you from extreme pain. It heals problems relating to low back pain, ankle sprain, soft tissue disorders, spondylosis, arthritis, shoulder lesions, thumb, knee, shoulder stiffness etc. 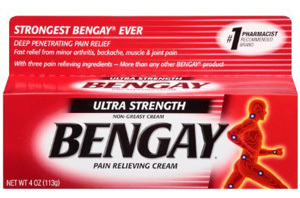 Bengay Pain Relieving Cream is one of the most preferred choices in India for both men and ladies alike. It is considered as one of the strongest medicine to relief pain. It takes care of minor arthritis, backache, muscle and joint pain by providing deep penetrating relief. 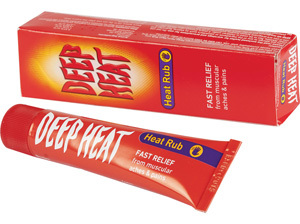 Deep Heat Arthritis Relief cream is another most popular pain relief cream available in India. It provides fast and temporary relief from muscular aches and strains, lower back pain, arthritis and rheumatism. The greaseless formulation helps stimulate circulation and relax stiffness. 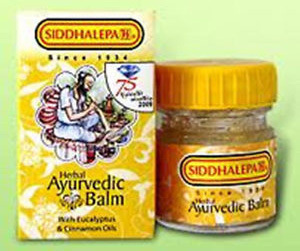 Siddhalepa Balm Headache & Pain Reliever is 100% natural and ayurvedic. This popular pain relief balm provides fast relief from headaches, backaches, toothaches and body pains. It also heals colds and flu. This herbal ayurvedic balm has the goodness of eucalyptus and cinnamon oils. Prevention is better than cure. Therefore, why not go through the Most Effective Strength Training Exercises to keep pain at bay! 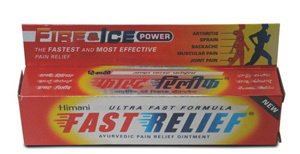 Please advise name, email & contact number for the supplier of Himani Fast Relief Ayurvedic Pain Relief Ointment. Where is Nise Gel. It is the best. MY MOTHER IS OLD ABOUT 85 YEARS OLD, HER PASLI, BACKACHE , IS VERY PAIN, PLEASE SUGGEST WHICH CREAM WE WILL TAKEN. My daughter is suffereing fromRhumatic artherities pain with swelling infingers and leg joints. Please send me a sample to apply and order further requirement.